What’s this? A book! Yeah, maybe I’ll take it into the bathroom with me to read. But that’s all I’ll be doing in there: reading. Why, what are you doing in the bathroom? You’re what? Dude, no. That’s messed up. Cheerfully illustrated in full-color Shame-O-Rama, this parody gets straight to the point: mice, whales, camels, bugs, even other people…none of them go around pooping. We didn’t want to say anything at first, but it was starting to become painfully clear that you had no idea. 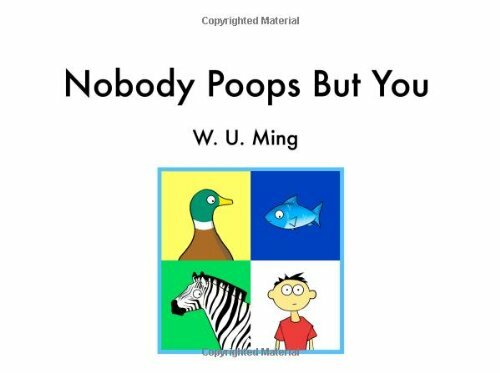 We’re just going to come out and say it: nobody poops but you.